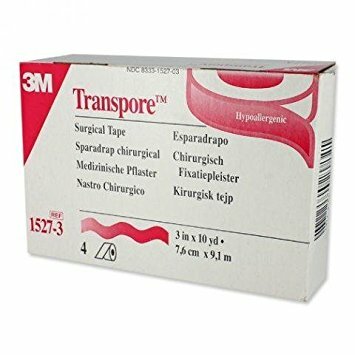 3M Healthcare Transpore Surgical Tape, 3 inch x 10 yard (7,5cm x 9,1m) Clear, porous, plastic hypoallergenic tape, standard roll. 40 Each / 40 Roll / 10 box / Case. 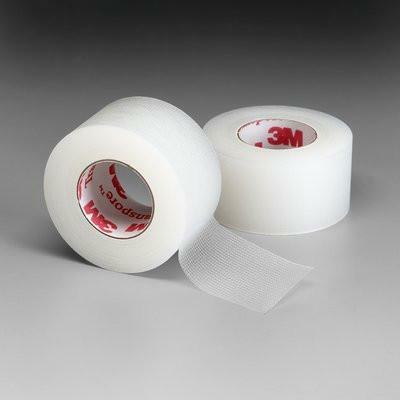 Transparent, perforated plastic tape that tears easily, works reliably. Easy, straight, bi-directional tear. Easy to handle with gloves. Good adhesion to skin and tubing. Transparent, porous. 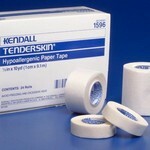 Hypoallergenic and not made with natural rubber latex. Water resistant. 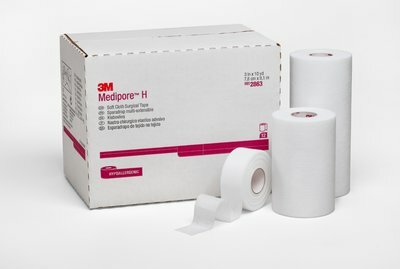 Allows clinician to tailor the tape for the various dressings and devices.